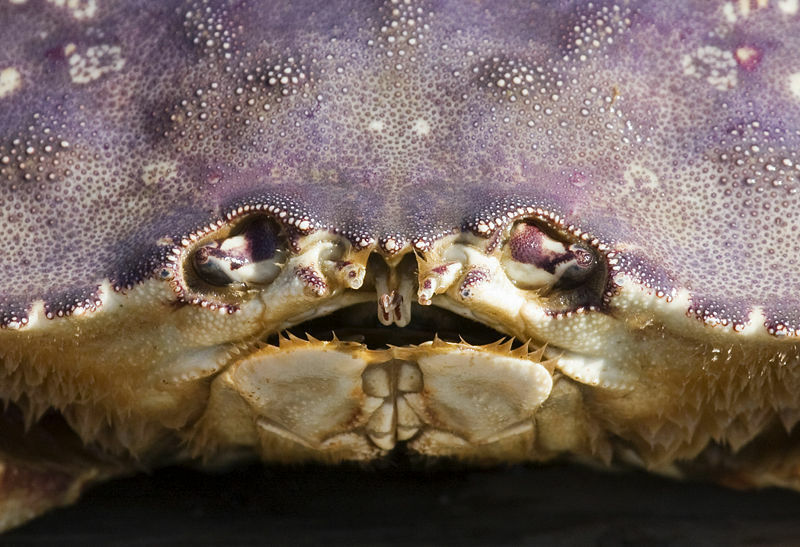 The Dungeness crab feeds on a wide variety of organisms. Laboratory evidence and stomach samples indicate that the Dungeness crab does not consume any decaying matter or rotting things. 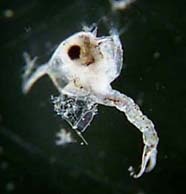 However the small undeveloped larval form exclusively survives on zooplankton which is essential to the species survival. The Cancer magister first uses it claws to tear the food into small pieces. It then has two small hard mandibles that it uses to crush its food this is a primitive jaw-like form. Last, there are teeth like structures in the stomach which further crush and break down the food for digestion. The Cancer magister has a simple open circulatory system. In an open circulatory system the blood is not confined to vessels like in humans, but instead the blood mixes with other fluids and directly bathes the internal organs in this fluid. It takes in oxygen and releases the waste carbon dioxide through the gills. The oxygen is transported via hemolymph which contains hemocyanin, it has a blue color and this blood pigment contains copper. 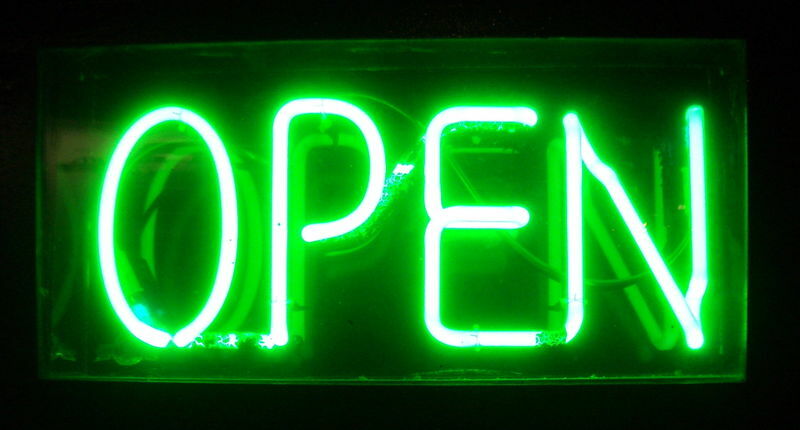 The copper element carries the oxygen throughout the organism. In humans iron is the hemoglobin which carries the oxygen through our blood, just like the copper element does in the crab. Next, look at the Adaptations of the Dungeness crab.